Australia celebrates Australia Day every year on January 26. This year’s Australia Day in Adelaide was a memorable one for local Nepalese community. Like every year, they participated in annual multicultural parade in Adelaide but with prominent participation and enthusiasm than ever. 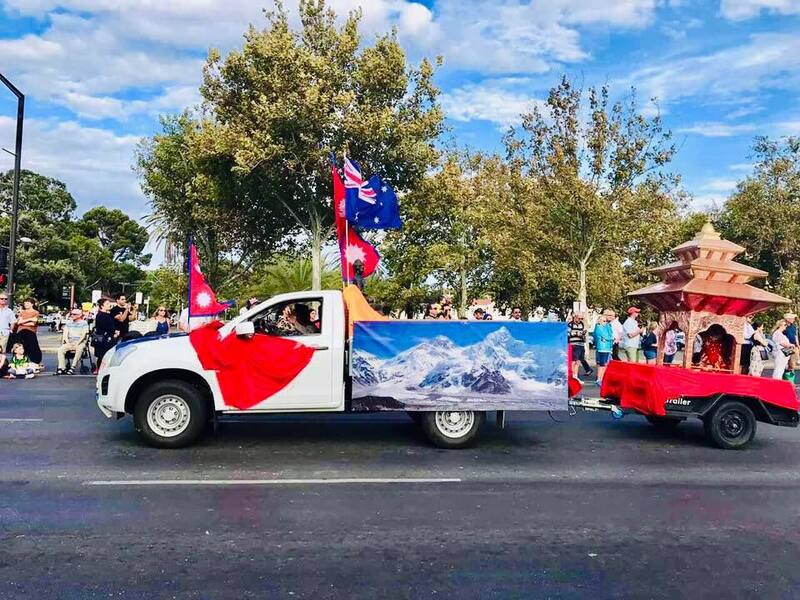 This year a mini Nepal was showcased in the parade which featured Nepalese and Australian flags side by side along with pictures of Lord Buddha and Mt Everest. A replica of chariot of Kumari, the Living Goddess was driven followed by Nepalese nationals adorned in different ethnic dresses. They were seen playing ethnic music with much excitement and pride along with other nationalities. The participation of Nepalese community in the parade was organized by Adelaide Nepalese Community. 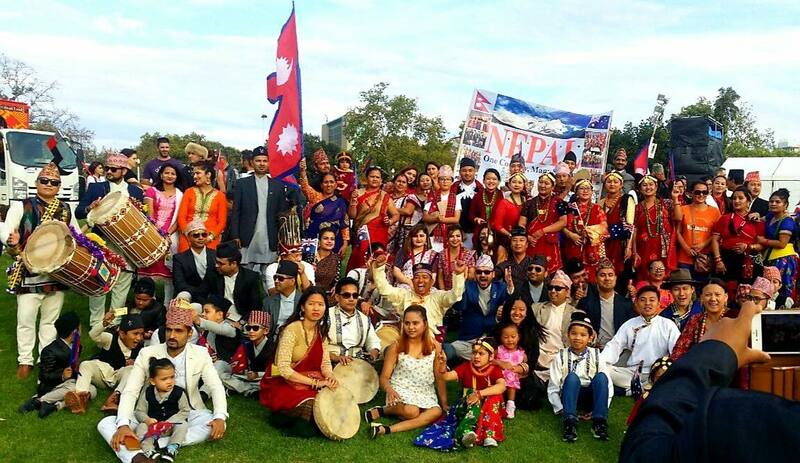 Nepalese community has been participating in different parades and festivals in South Australia. They were successful in garnering attention of onlookers along with Australian Minister, MPs and senior officials.